UCG Technologies specializes in IBM Power Systems (IBM i) and protects all platforms from 10GB to in excess of 100TB. Products and services include UCG Enterprise Cloud Backup, Disaster Recovery, and High Availability; Enterprise Security Training; IBM POWER8 Systems; and Enterprise Management Software (EMS). An IBM Business Partner since 1987, UCG is one of the largest independent IBM i business partners and has been rated in the top 1% of IBM business partners globally. 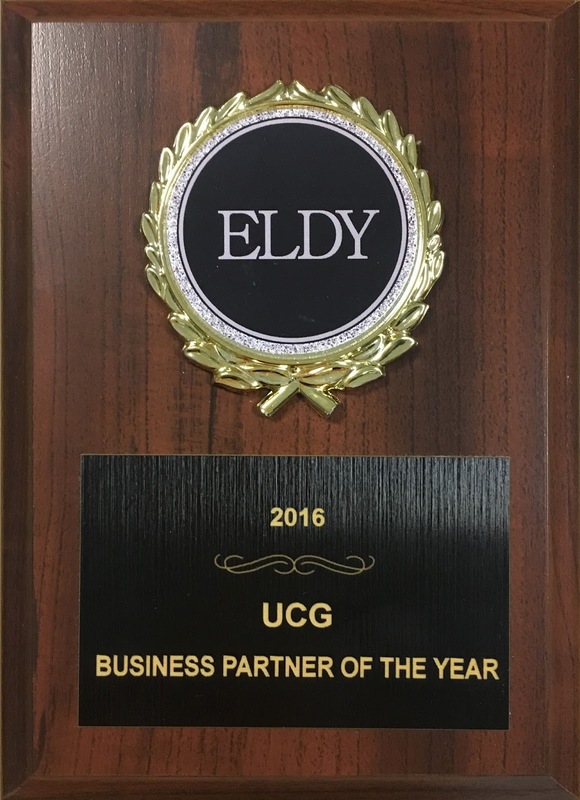 UCG Technologies Awarded 2016 ELDY Business Partner of the Year! UCG is pleased and honored to have been awarded the ELDY award for 2016 Business Partner of the Year. "Thanks for attending the 10th annual ELDY Awards and congratulations to you and the entire UCG team on winning the Business Partner of the Year award for 2016--the first company to have won a second such award. UCG was chosen from over 60 IT related business partners. Thank you, Larry Domzalski and Austin Powder Company! In 2016 UCG Technologies announced our Enterprise Security Training partnership with KnowBe4. 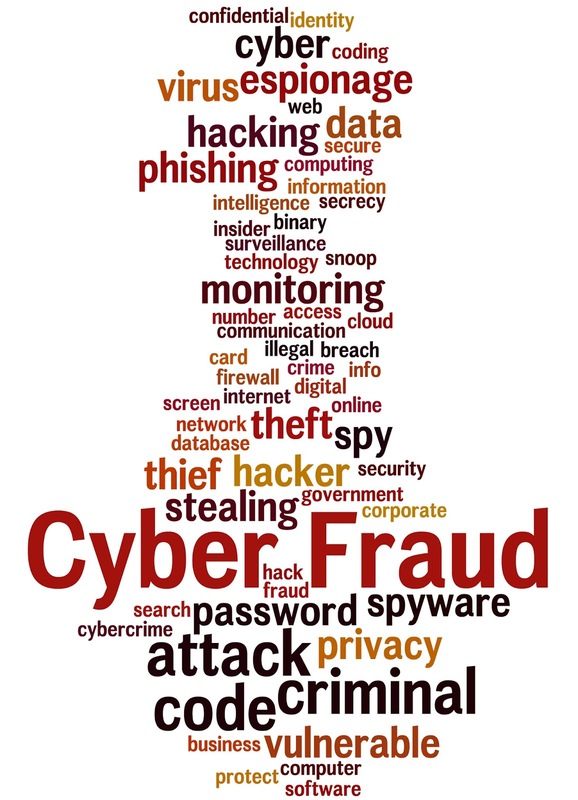 It quickly became obvious that this program was key to the safety and security of our clients' data and indeed, their entire organization. 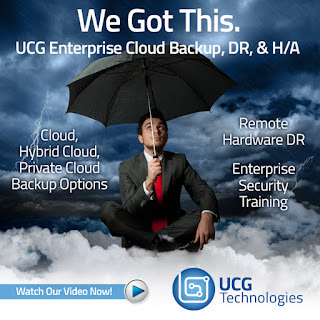 Our clients' data is protected by UCG's Enterprise Cloud Backup, DR, and H/A. 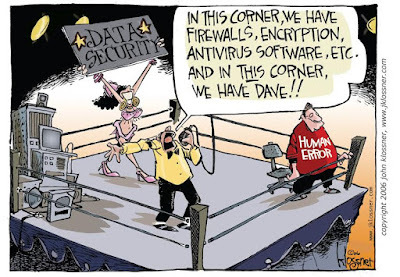 But when it comes to cyber security, human error is the number one cause of security breach. It’s imperative to ensure that all employees are educated and up to speed on how to spot ransomware attacks BEFORE they click on a dangerous link. 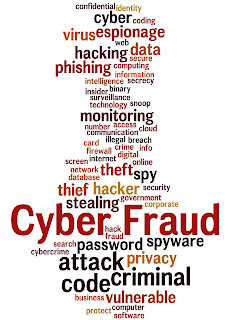 As you know, cyber security attacks are an epidemic; the hackers have a plethora of nefarious methods to steal your data. That is why we made the decision to hire a dedicated Client Success Manager to focus solely on Enterprise Security Training. 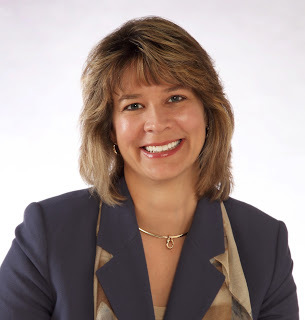 We are pleased to introduce Mary Borkman, Client Success Manager for UCG Technologies. Please join us in welcoming Mary to the UCG Technologies team! Give her a call or drop her an email for details on how to take advantage of this no-charge added value for existing and new UCG clients. She can be reached at 216.520.1333 #145 or mborkman@ucgtechnologies.com. In the meantime, watch our 90 second video! Jim Kandrac to "go jump in the lake" tomorrow for a great cause! Less than 1 week ago, I was asked and agreed to raise money for The Akron-Canton Food Bank by participating in the Portage Lakes Polar Bear Jump 2017 event which is tomorrow - Saturday February 18th. A personal goal was set of $2,500.00 - I jump started the fund raising by donating $250.00. I have been overwhelmed by family, friends and business associates who have contributed and brought my total to $3,595.00 as of this morning. Please tune into WKYC-TV Cleveland on Saturday morning at 7:00 am for a live interview with "yours truly" as the #1 individual fundraiser for the event. I will be live on TV - interviewed by WKYC's Jasmine Monroe. In total this years' event has raised over $100,000 for The Akron-Canton Food Bank and since it's inception of the event in 2004, the event has raised over $700,000. If you have sponsored my cause, I truly appreciate it. Please click on my donation page to make sure your donation has been credited to my specific jump. If you do not see your name, please email me at jkandrac@ucgtechnologies.com so I can get it credited. While we are at it .. why not raise the goal to $5,000.00?! Please share with family, friends and encourage them to sponsor this great cause. Click on my fundraising page to donate! will you love it too? We are very pleased to announce that UCG Technologies has acquired the IBM i Series Solutions business of E-Safe Technologies LLC (formerly Premier Technologies, Inc.) a Pittsburgh-based IT service provider. 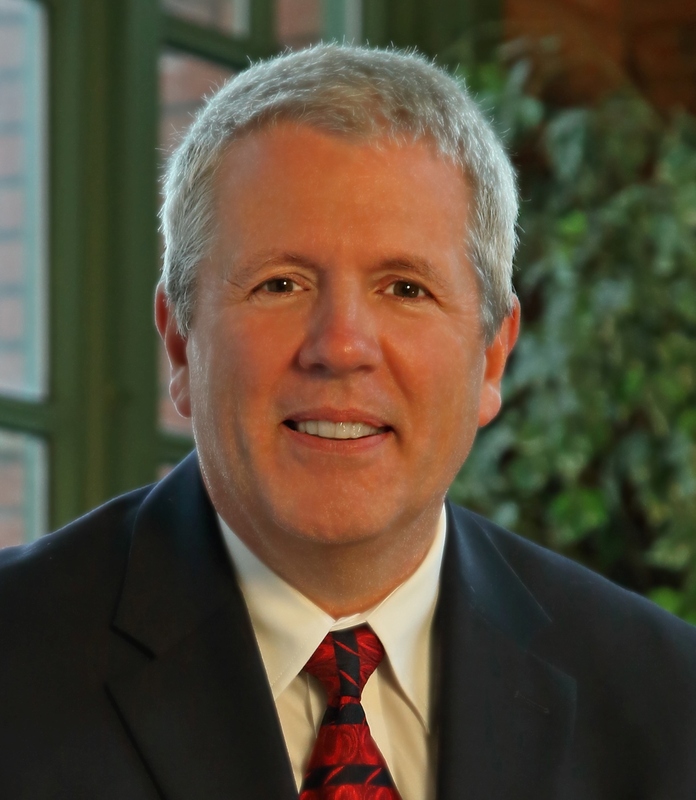 The acquisition will accelerate UCG’s growth in the Midwest as it continues its transition and expansion from a regional integrator into a full-service provider of backup, disaster recovery (DR), enterprise applications and security training with a focus on the IBM POWER8 Systems platform. UCG now has customers in 31 states, Canada, Caribbean and Europe. We have long been impressed by E-Safe’s (Premier) strength in the Pittsburgh market for POWER8 solutions. Frankly, they owned the Pittsburgh market. This acquisition not only opens the door to hundreds of accounts, but gives those customers access to a broader range of software and services. It’s a win for UCG, a win for E-safe and a win for their customers. E-Safe’s customer base includes more than 250 companies in the greater Pittsburgh market and four other states in the Great Lakes area. E-Safe will focus its resources on the burgeoning computer network maintenance and IT managed services market. Rob Wise, who was previously IBM Practice Manager for E-Safe, has joined UCG as Technical Engineer where he will work with UCG Vice President Mike Powall and Operations Manager Gina Creager to ensure a smooth and successful migration for E-Safe customers. All current consulting, service and maintenance agreements will be honored by E-Safe and fulfilled by UCG Technologies. Please join us in welcoming Rob to the UCG Technologies team! Happy Holidays from UCG Technologies! In honor of our valued clients, employees, and vendors, UCG has made donations to the following charitable organizations this holiday season. The Akron-Canton Regional Foodbank was formed in 1982 by a group of community leaders who made a commitment to provide emergency food to our neighbors in need. Today, the Foodbank provides food and other essential items to member hunger-relief programs in eight Northeast Ohio counties: Carroll, Holmes, Medina, Portage, Stark, Summit, Tuscarawas and Wayne. These member programs operate nearly 500 food pantries, hot meal sites, shelters and other hunger-relief programs in the neighborhoods and communities where people need food. Founded in 2008, Pelotonia was established with the objective to fund life-saving cancer research. Pelotonia is a three-day experience that includes a weekend of cycling, entertainment and volunteerism. In its first seven rides, Pelotonia raised more than $106 million for cancer research. Thanks to its generous funding partners, Huntington Bank, L Brands Foundation, Peggy and Richard Santulli, American Electric Power Foundation, Nationwide Insurance, Cardinal Health Foundation, Harold C. Schott Foundation, Pelotonia is able to direct 100 percent of every rider-raised dollar to cancer research at The Ohio State University Comprehensive Cancer Center – James Cancer Hospital and Solove Research Institute. Established in 2003, the Warrior Project (WWP) began when several veterans and friends, moved by stories of the first wounded service members returning home from Afghanistan and Iraq, took action to help others in need. What started as a desire to provide comfort items to wounded service members at Walter Reed Army Medical Center has grown into a holistic rehabilitative effort to assist warriors with visible and invisible wounds as they recover and transition back to civilian life. Tens of thousands of wounded service members, their families, and caregivers receive support each year through WWP programs. Whether you are a 40-year-old father of three young children in the prime of your life or a 65-year-old excited to enjoy your retirement and spend time with your grandchildren, the face of prostate cancer can look very different. What unites us all is our steadfast commitment to eliminate the pain and suffering and create Generation ZERO – the first generation of men free from prostate cancer. 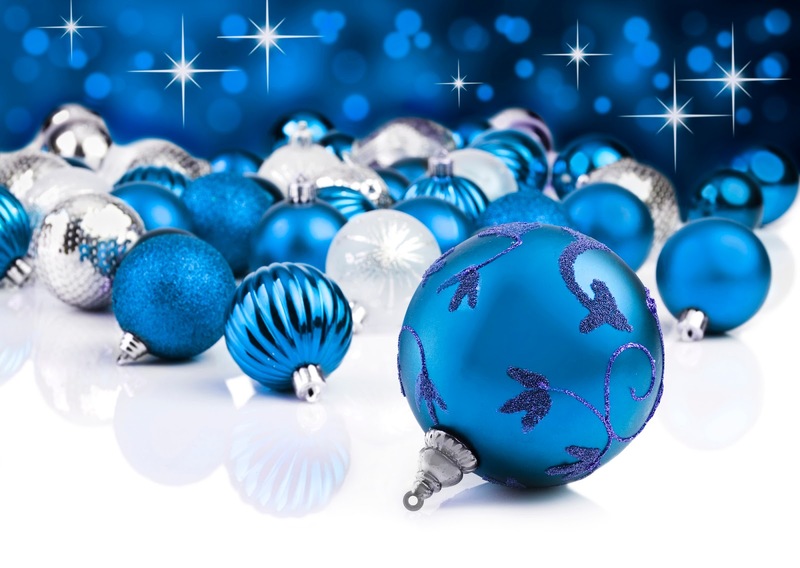 From our families to yours, we wish you peace, joy, good health, and prosperity. When UCG rebranded in April, it represented the way forward to a very exciting future for our employees, clients, and business partners. We’re standing on the threshold of the greatest advances in computing since the invention of the microprocessor. IBM expects half of all software applications developed three years from now to have “cognitive” capabilities, or the ability to reason, learn, discover and advise. The potential for us to apply cognitive reasoning to make our customers’ enterprise operations and applications more intelligent is thrilling. Big data, cloud computing, predictive analytics, machine learning, and the Internet of Things will change our world in ways we can only imagine today. UCG technologies is committed to helping to guide our customers toward decisions that have the greatest bottom-line impact. In 2017 we'll reach another milestone—our 30th anniversary! Please visit our website to read our newly updated About page. In the meantime, from everyone at UCG Technologies, we wish you a beautiful holiday season and a happy, healthy, prosperous New Year! IBM Advanced Business Partner. All rights reserved, United Computer Group, Inc. © 2014. Awesome Inc. theme. Powered by Blogger.